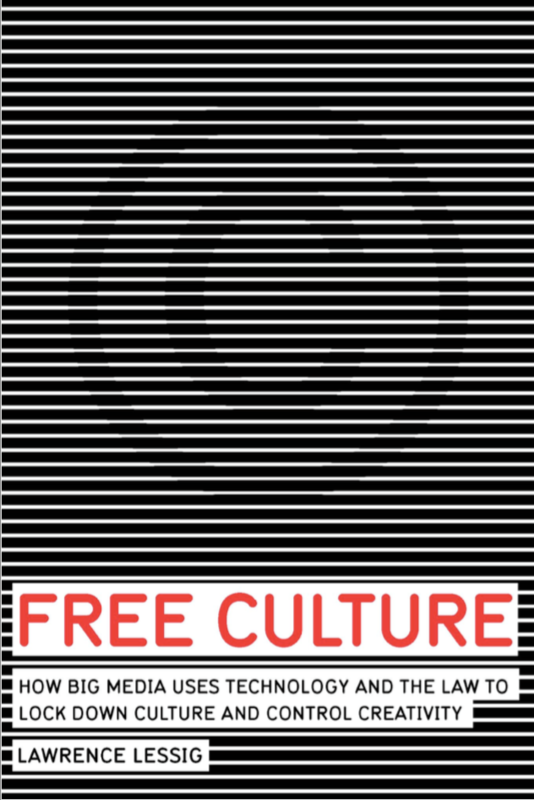 Want to know more about how fair use affects us, our culture, and how to implement it in your work? Check out the reading list below and don’t miss the Best Practices guides at the end. Do you think we missed a title that we should share? Be sure to leave a comment! 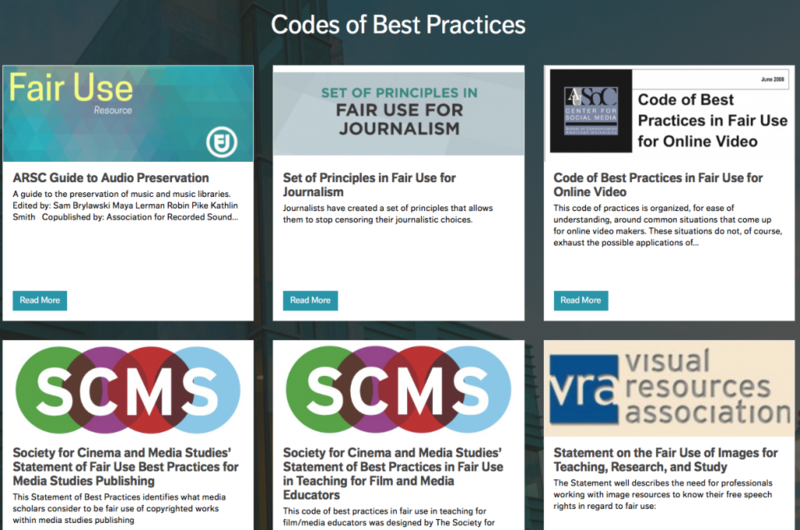 These best practices guides are use-specific. Visit them to see if there’s one that most closely matches your use scenario. Find all of them here. 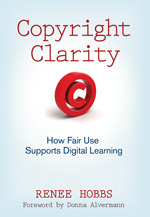 A great look at how fair use enables your every day college lifestyle! From the Association of Research Libraries (CC BY), check out this infographic. What Fair Use Myths will you find out aren’t true? 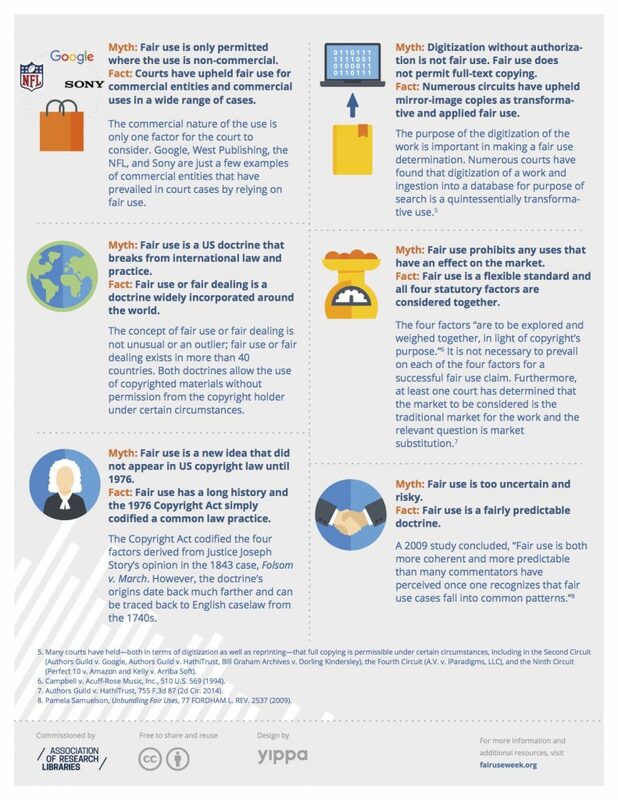 Many myths persist about fair use, an essential right that allows the use of copyrighted material without permission from the copyright holder under certain circumstances. We debunk some of the most common fair use myths here. Read more about Fair Use Week 2017 at PSU here. Fact: Fair use is a right that accommodates the First Amendment. Fact: Fair use is a right that exists in addition to specific exceptions. Fact: The statute, numerous court decisions, and best practices provide ample guidance. Fact: Courts have upheld fair use for commercial entities and commercial uses in a wide range of cases. Fact: Numerous circuits have upheld mirror-image copies as transforma- tive and applied fair use. Fact: Fair use or fair dealing is a doctrine widely incorporated around the world. 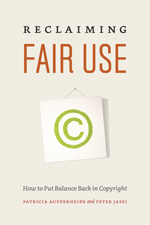 Fact: Fair use is a exible standard and all four statutory factors are considered together. Fact: Fair use has a long history and the 1976 Copyright Act simply codi ed a common law practice. Fact: Fair use is a fairly predictable doctrine. February 20-24, 2017 marks Fair Use Week, a celebration of users’ rights in copyright law. 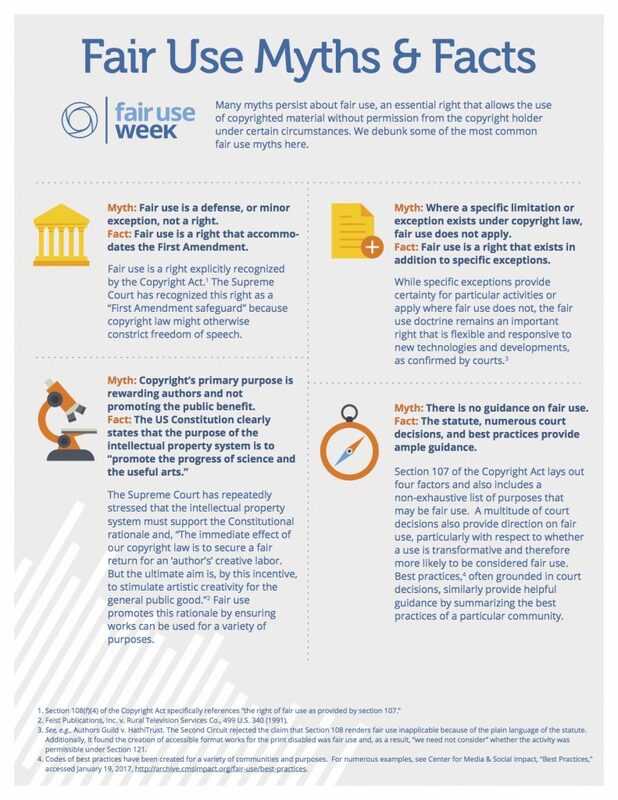 This year we are celebrating with the release of the first iteration of the Fair Use Suite, a set of resources designed for PSU faculty, staff, and students, including a downloadable fair use checklist, a fair use reminder card, and more to come throughout the year. How Do I Know Something Is a Fair Use? the purpose and character of the use, including whether such use is of a commercial nature or is for nonprofit educational purposes; is it transformative? the nature of the copyrighted work; is it factual? creative? 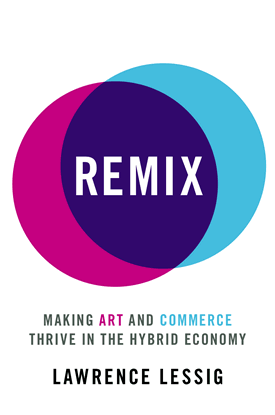 the effect of the use upon the potential market for or value of the copyrighted work. does your use impinge on the market for the work? Using the four factors isn’t black and white – they are taken all together, and must be evaluated for every copyrighted work used – it’s a case by case analysis. Confused about Fair Use? 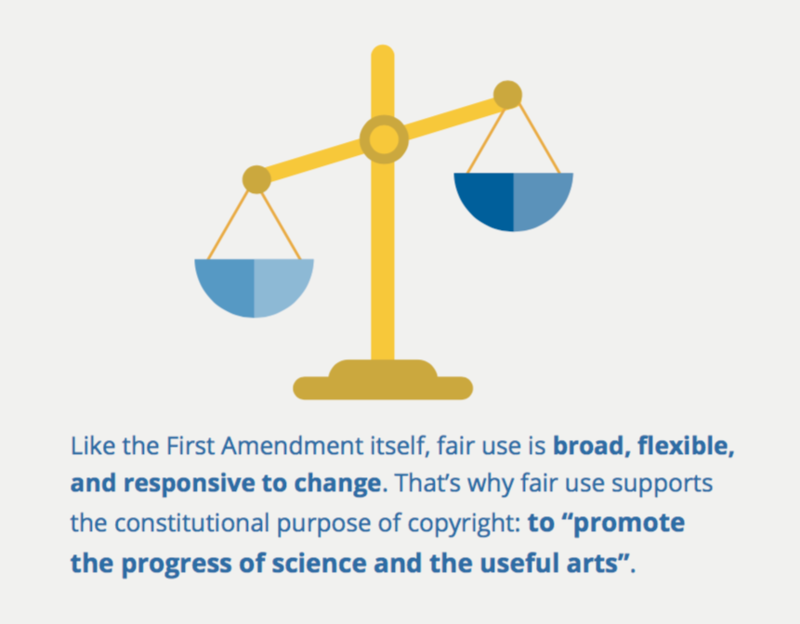 See the infographic that destroys Fair Use Myths & Facts! 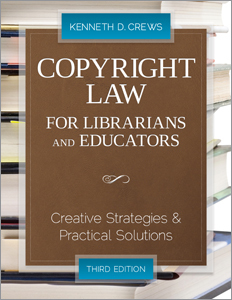 Schedule a consultation with the copyright officer for answers and information about your copyright conundrums. Just email copyright@psu.edu! See how fair use applies to the day-to-day life of a college student. Check out this collection of mashup shirts – do you think they’re fair use?